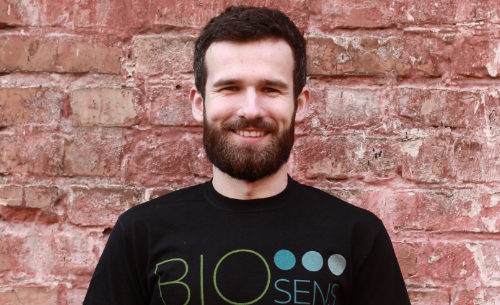 Andrii Karpiuk, CEO of BIOsens, founded the company at the beginning of this year. Since then, he and his startup have taken part in different exhibitions and conferences such as Seed&Chips 2017, Grain Technologies 2017, Agro2016, IoT Conf, InnoTech etc. BIOsens is now on the development stage and plans to go to market next year.